Understand FEMA P-361 recommendations and NSSA/International Code Council 500 requirements for tornado storm shelters for certain occupancies in tornado-prone areas. 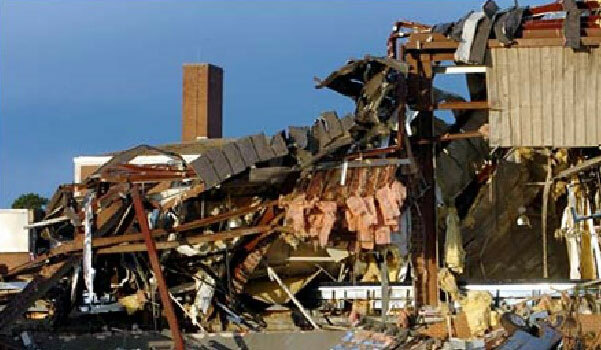 Identify the various testing requirements for tornado-resistant products. Discuss key information regarding the optimal location of tornado shelters. Explain the evolution of bunker-like caverns into aesthetic, architectural spaces thanks to certified tornado-resistant door-opening assemblies. Specify tornado-resistant doors, shutters, and hardware. In the wake of a series of tornado catastrophes in the past decade, industry associations, code-making bodies, and authorities having jurisdiction have rallied together to provide key guidelines and code requirements for storm shelters in school buildings and critical facilities. In turn, the building products industry has responded with an assortment of impact-resistant doors, shutters, and hardware to protect occupants from the great dangers posed by winds of up to 250 mph, wind-borne debris, and other dangers created by the awesome and terrifying effects of Mother Nature. 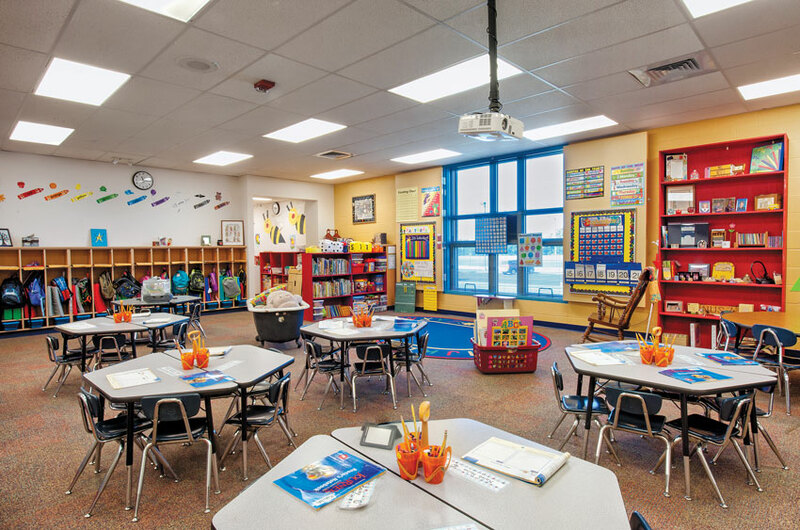 Built in part with FEMA funding, this tornado shelter at Ewalt Elementary School in Augusta, Kansas, can hold up to 600 occupants and doubles as a normal-looking classroom. While tornadoes have wreaked havoc on vulnerable cities and towns in the United States for many years, a spate of particularly devastating tornado outbreaks in the past decade have served as a wake-up call to vulnerable tornado-prone areas. Case in point, a series of 56 confirmed tornadoes drove through the South in the winter of 2007, beginning in Kansas and making its greatest impact on Enterprise, Alabama, where more than $307 million in property damages and significant loss of life occurred. Enterprise, Alabama, suffered from $307 million worth of damages in 2007 when a tornado drove through the southern United States. 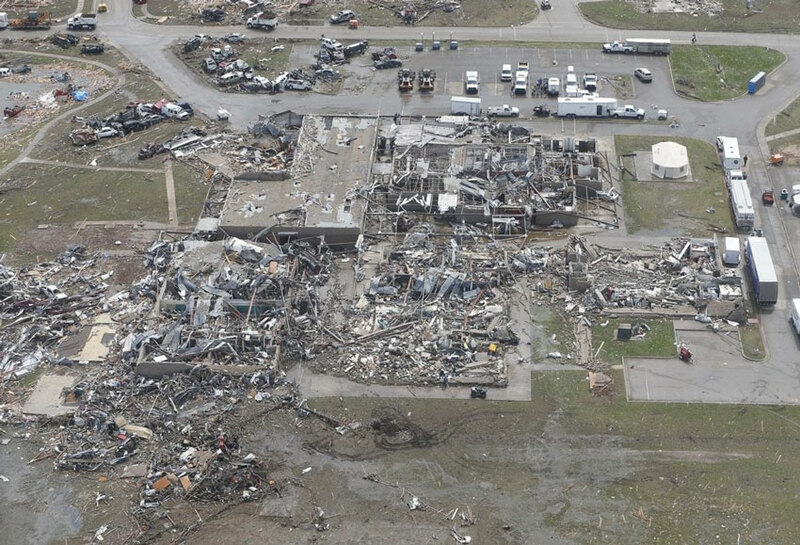 The single-most deadly tornado to date occurred in Joplin, Missouri, when an EF-5 tornado—the highest category—with more than 200-mph wind speeds killed 162 people, caused close to 1,000 injuries, and damaged or destroyed approximately 8,000 structures, affecting approximately 30 percent of the town of less than 50,000 people. Then in Moore, Oklahoma, in 2013, 210-mph estimated peak winds took the lives of 24, injured 377, destroyed 1,150 homes, and left $2 billion worth of damage in its wake. Estimated 210 mph peak tornado winds killed 24, injured 377, and destroyed 1,150 homes in Moore, Oklahoma, in 2013. Unlike hurricanes—which are large weather systems that can last up to three weeks and give advance warnings of several days, giving time for residents to evacuate the area—tornadoes are short, intense storms, giving towns little warning of the impending attack. In fact, the National Oceanic and Atmosphere Administration reports that the average tornado warning is just 13 minutes. In comparison to hurricanes, tornadoes are much smaller, usually no more than a ½ mile wide, lasting from a few minutes up to an hour. Putting things into perspective, James E. Waller, PE, director of engineering, Remagen Corporation, Monteagle, Tennessee, explains that the wind pressures and forces of a tornado on a structure are approximately four times as great as what engineers design for in coastal areas subject to Category 4 hurricanes, and nearly eight times as great for design of buildings in noncoastal areas. In addition to the structural damage incurred by extreme winds and flying debris, internal and external pressures induced by the winds can cause damage to buildings as well. 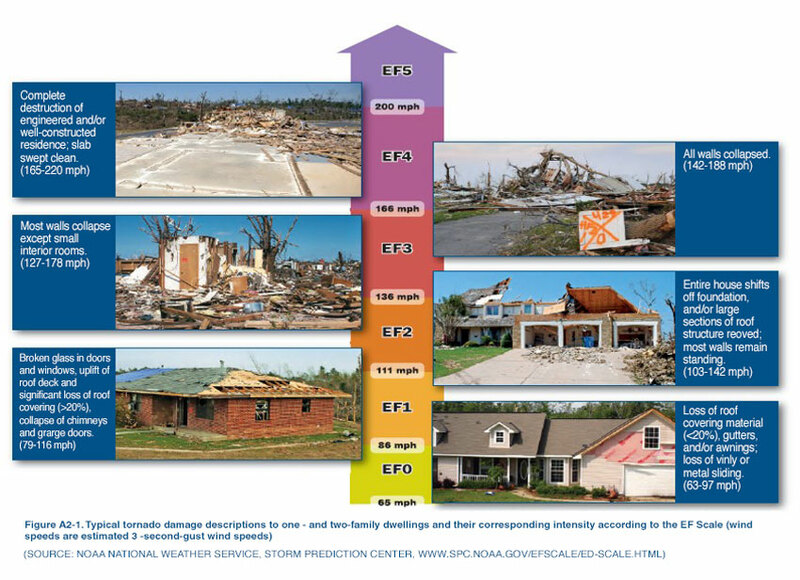 With increasing wind speeds, this EF scale infographic illustrates the escalating levels of property damage incurred from tornadoes.